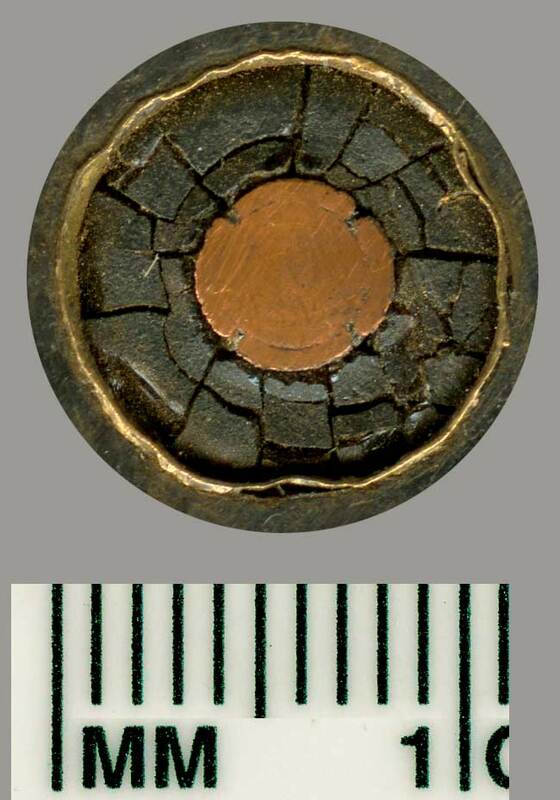 In late 1899 the Telegraph Construction & Maintenance Company (Telcon) made and laid this cable from Cape Town to St Helena for the Eastern Telegraph Company, continuing to Ascension	Island, and in 1900 on to St Vincent, Cape Verde Islands. At the outbreak of the Boer War in 1899 the only way to get a telegraph message from the UK to Cape Town was either via the west coast or the east coast of Africa, a slow and tedious journey. A quicker and more direct route was urgently required. The Eastern Telegraph Company contracted the Telegraph Construction and Maintenance Company to manufacture and lay the necessary cables, which were to link Cape Town - St. Helena - Ascension - St. Vincent (Cape Verde Islands). 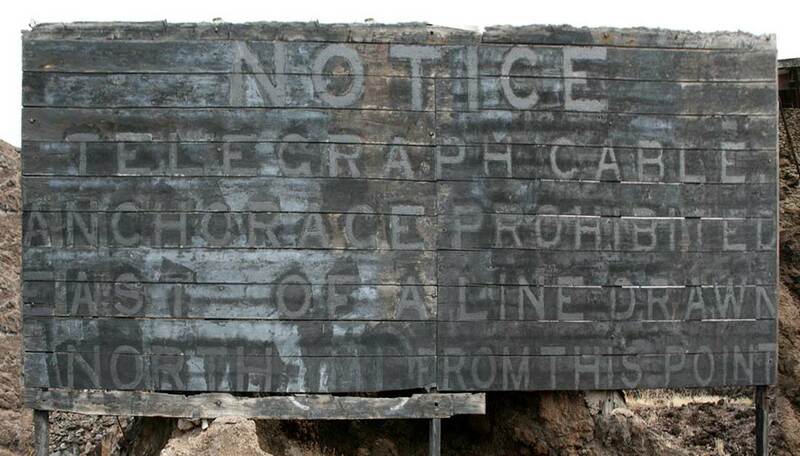 Messages were then routed over the Western Telegraph Company cables, St Vincent - Madeira - Carcavelos, Portugal, and from there to Porthcurno they again travelled over the Eastern network. CS Anglia laid the 2065 nm first stage from Cape Town to St Helena, completing it by 26 November 1899, and while CS Anglia returned to the UK for more cable CS Seine laid the section from St Helena to Ascension, a distance of 844 nm, completing it by 15 December 1899. CS Anglia then laid 1975 nm of cable from Ascension to St Vincent, Cape Verde Islands, completing the task by 21 February 1900. 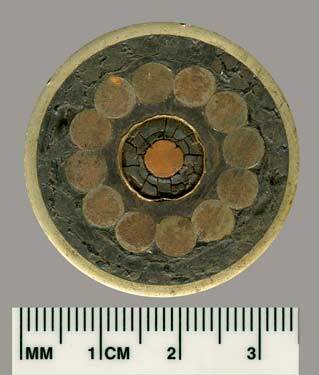 ...the Imperial Government has decided upon laying an “all British submarine cable,” with the following connections: Penzance, Cornwall, England, to Gibraltar, 1,200 miles; Gibraltar to Sierra Leone, 2,400 miles; thence to Ascension, 800 miles; Ascension to St. Helena, 800 miles; St. Helena to Cape Town, 1,800 miles; total distance, England to Cape Colony, 7,000 miles. The Telegraph and Maintenance Company’s steamship John Pender has been engaged in making the necessary soundings, having left Cape Town on May 12 and arrived here May 19. After sounding around the island, it left on May 25 for Ascension, Sierra Leone, Gibraltar, and England. 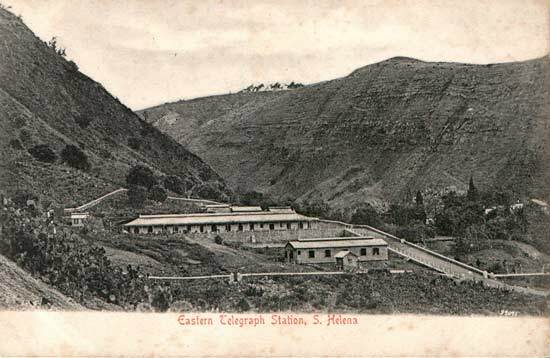 The connection by cable with the “mother country” will be the greatest boon ever conferred upon St. Helena, for the reason that hundreds of merchant sailing ships from the East, which under existing arrangements go out of their way to call at the Brazils, Cape Verde, and the West Indies for orders, will avail themselves of this station, St. Helena being situated in the heart of the southeast trade winds, and consequently in the direct track of ships from India and China bound to the continents of Europe and America. In 1899, the Eastern Telegraph landed a submarine cable ex ss. Anglia, which brings the island into direct communication with England and with the Cape; during the war with the Transvaal it has been of inestimable value. It is shored at Rupert’s Valley, where also are the office and plant; but the Briars House and valley has been acquired, and offices, together with residences for the staff, are now in process of erection there. 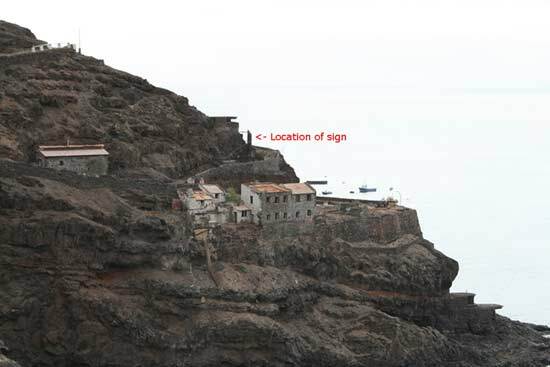 The images below show the cable warning sign, which remains high on a cliff at St Helena. The image below contextualises the huge sign (centre of frame seen edge-on) - it is perched on the edge of a very crumbly cliff face! The buildings below it are remains of various forts and military complexes dating back to the 1600's, and the location is called Munden's. John Turner’s site on the history of St Helena has a section on communications on the island which includes some cable details.